1. China Successfully Launches New Earth Observation Satellite. A Chinese environmental research craft and an experimental Earth-imaging nanosatellite successfully launched Saturday aboard a Long March 2D rocket. 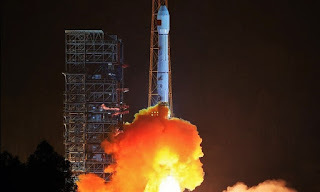 The two satellite co-passengers lifted off at 0413 GMT (12:13 a.m. EDT) from the Jiuquan space base in northwestern China’s Inner Mongolia region, riding a two-stage Long March 2D launcher away from the remote military base atop more than 650,000 pounds of thrust. Less than 15 minutes later, the Long March 2D’s upper stage delivered the Gaofen 6 and Luojia 1 spacecraft to orbit. Chinese state media declared the mission a success. Tracking data published by the U.S. military indicated the satellites were circling Earth at an altitude of approximately 400 miles, or 640 kilometers, following a track inclined 98 degrees to the equator. The launch Saturday marked the 16th space launch of the year by China. The next Chinese space launch is set for Tuesday with the Fengyun 2H weather satellite. The Gaofen 6 Earth observation payload launched Saturday is an upgraded version of the Gaofen 1 satellite China shot into orbit in 2013. The 2,345-pound (1,064-kilogram) Gaofen 6 satellite joins a fleet of Earth-monitioring craft in China’s Gaofen family, a series of civilian-operated remote sensing observatories similar in purpose to Europe’s Sentinel environmental satellites. Designed for an eight-year mission, Gaofen 6 can measure the nutrient content of vegetation and help estimate the yields of crops, such as corn, rice, soybeans, cotton and peanuts, said Tong Xudong, chief engineer of the Gaofen satellite program, in a report published by China’s state-run Xinhua news agency. Gaofen 6 will also survey forest and wetland resources and monitor agricultural disasters such as floods and droughts, according to Xinhua. Saturday’s launch of Gaofen 6 came less than a month after China sent the Gaofen 5 satellite into orbit to monitor greenhouse gases, air pollutants and other environmental parameters. The smaller Luojia 1 spacecraft accompanied Gaofen 6 on the Long March 2D launcher, beginning its own experimental remote sensing mission. 2. 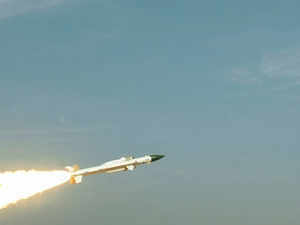 India Successfully Test-Fires SFDR Propulsion Based Missile. 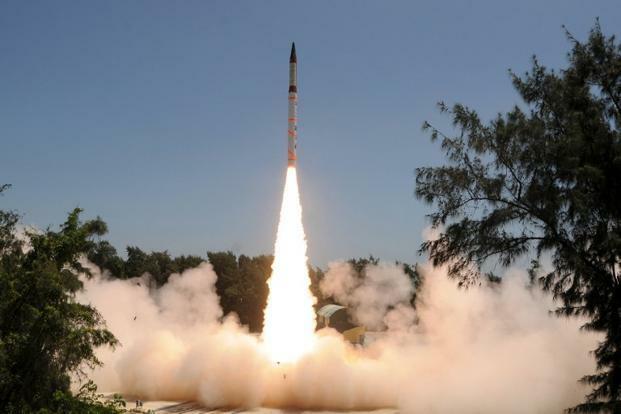 May 31 (IANS) Making a breakthrough in missile technology, India successfully carried out the flight test of Solid Fuel Ducted Ramjet (SFDR) propulsion based missile, the Defence Ministry said on Thursday. The technology demonstrator flight test was conducted from the Launch Centre-III of Integrated Test Range at Chandipur in Odisha. "The flight test met all the mission objectives. The technology of nozzle less booster has been successfully demonstrated in the mission for the first time in the country," an official statement said. SFDR is a propulsion technology different than that of conventional solid fuelled or liquid fuelled missiles. 3. India Successfully Test-Fires `Agni-5` Off Odisha Coast. The surface-to-surface missile was launched with the help of a mobile launcher from launch pad-4 of the Integrated Test Range (ITR) at Dr Abdul Kalam Island in the Bay of Bengal at 9.48 am, defence officials said. This was the sixth trial of the state-of-the-art Agni-5. The missile covered its full distance during the trial which was a total success, they said. The flight performance of the missile was tracked and monitored by radars, tracking instruments and observation stations all through the mission, the officials said.